Thanks to all of you who suggested books for me to read, i knew you would come through for me! I figured there might be some people out there who are looking for a good list of books to read so i thought i would share the results. 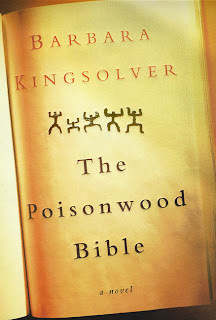 Erika suggested this little number: The Poisonwood Bible. She said it was slow at first but has a great finish. 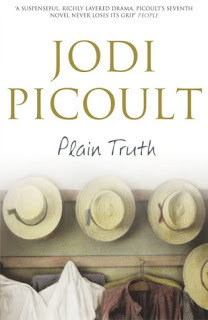 Chelsea suggested any book written by Jodi Picoult, including: Ninteen Minutes, My Sisters Keeper, The Pact, Change of Heart, and Plain Truth. 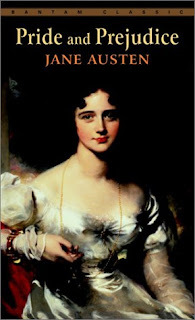 Kate suggested: Pride and Prejudice, and said that it puts Edward and Bella to shame (bold statement Kate!) We'll have to wait and see... Although i have seen the movie (the six hour version) and i LOVED it, so i'm thinking i'll like the book too. 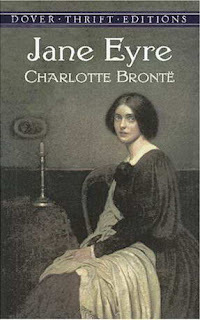 Kate also suggested: These Is My Words Jacque suggested Jane Eyre, which she said is along the same lines as Pride and Prejudice and there is an Edward in the book. I love Edwards. Last but not least, my mom suggested that i should go back and actually read the books that i did book reports on in middle school. To be honest mom, i actually thought about going back and actually reading them. Maybe then i can see how legit my B.S. was when i wrote those reports. Thanks again for all your suggestions. I'm glad i now have a long list of books to read. For future reference if there are any books that you come across that you like, let me know. Happy Reading. 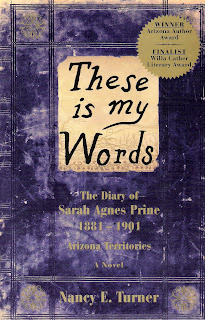 Oo These is My Words is really good. I read that one out loud to Dave as we drove to LA and back and we both loved it. Not going to lie, I bawled at points, but it was good and I'm not one to read about a western. You should sign up for Goodreads.com. Maybe people told you on your last post already, I didn't look.